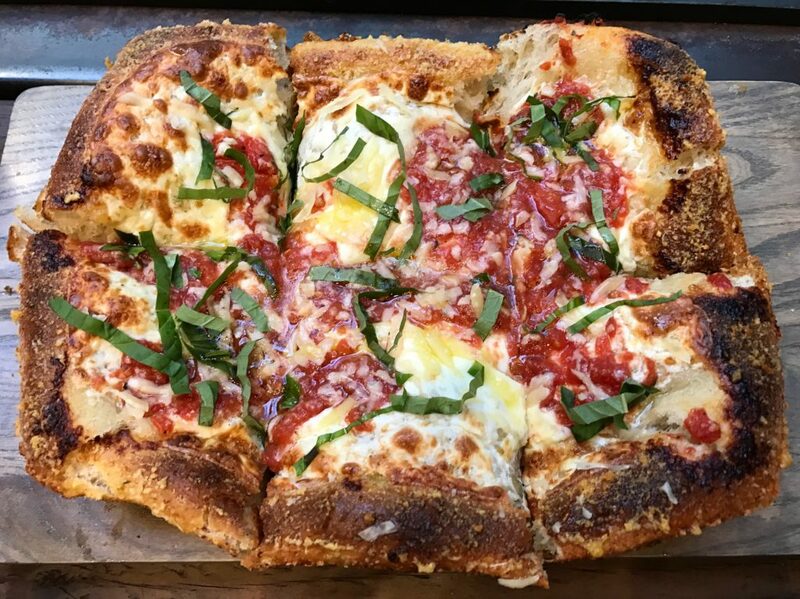 Summary : The DoughDici pizza -- which costs $45 -- combines a fluffy bread-like dough with a crusty exterior. It's worth the experience. 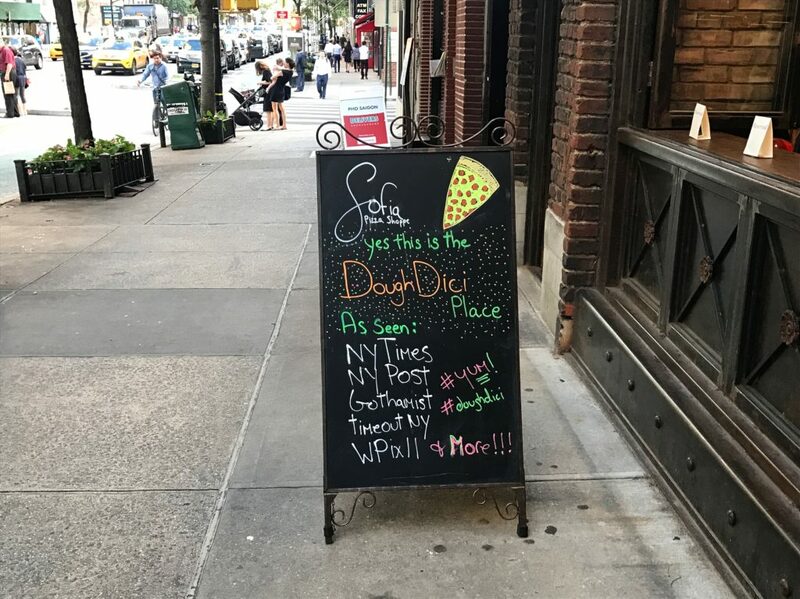 In a city where a $1 slice of pizza can be found every few blocks, a pizzeria in Midtown East recently introduced a $45 pizza called the DoughDici. Crazy, right? Well I’m here to tell you that it’s actually a very reasonable price. 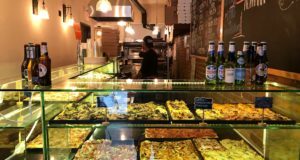 Without even factoring in any labor and ingredient costs, it’s easy to make the case that a pizza dinner for two often costs $45 in New York City. Let’s take the perpetually packed Motorino, for example. My wife and I often split a brussels sprouts pie ($17) and a mushroom pie ($18). That’s $35 total. Add $3.10 for tax (8.875%) and $7 for tip (20% on $35). And you’re already at $45.10. 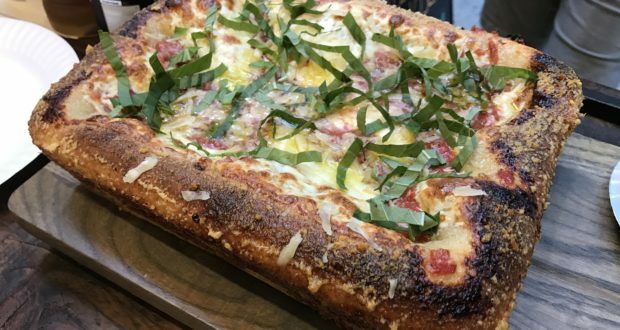 The DoughDici pie — which actually costs $44.72 after all taxes and fees — now seems like a bargain, right? So does an “entree” for $15/person sound expensive? What if the headline of this review was: “I Ate $15 Worth Of Pizza Last Night.” Would you even still be reading? 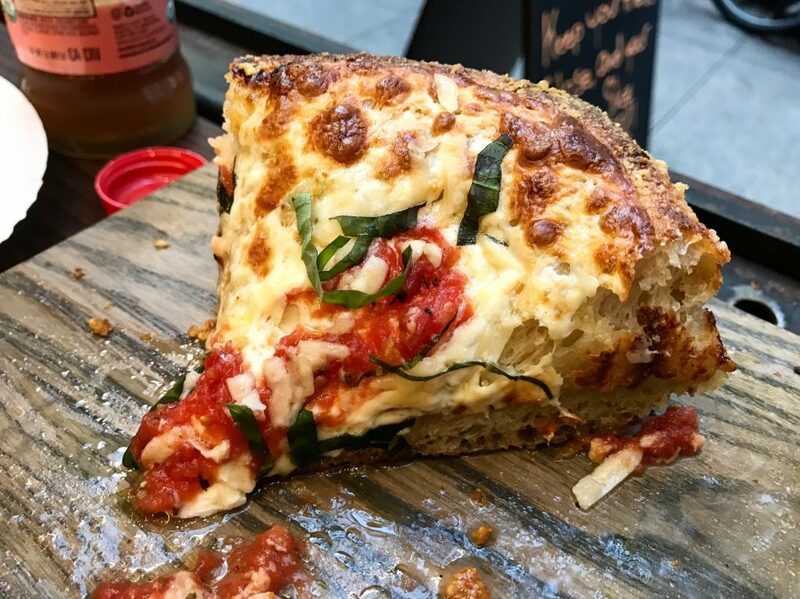 (In all the coverage this pizza has received, The New York Times was probably the most egregious, publishing the headline: The Rise of the $38 Pizza, Exclusive and Elusive). Talk about fake news! The place responsible for this madness is Sofia Pizza Shoppe (989 1st Avenue), a relative newcomer to Midtown East. Pass by and it appears to be your average slice joint, which is primarily what they sell. 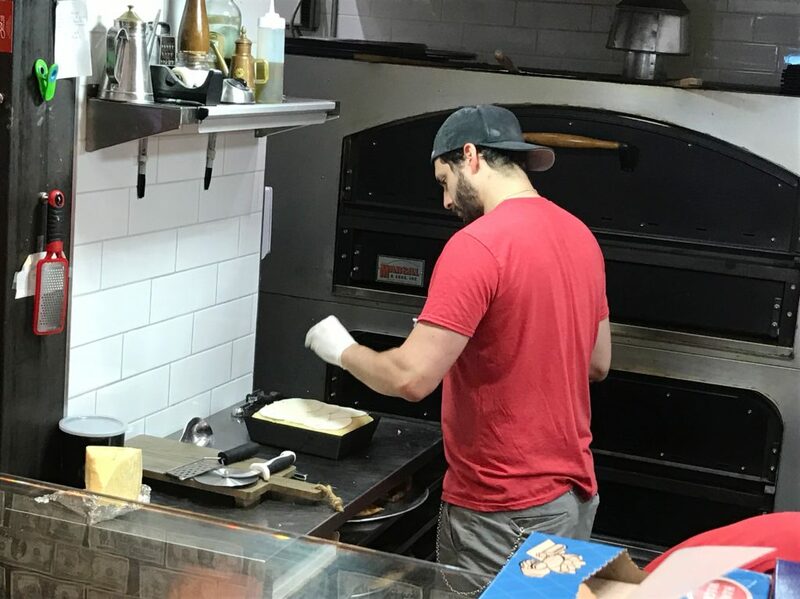 You can’t just walk in and order a DoughDici pie, given the preparation that’s required. 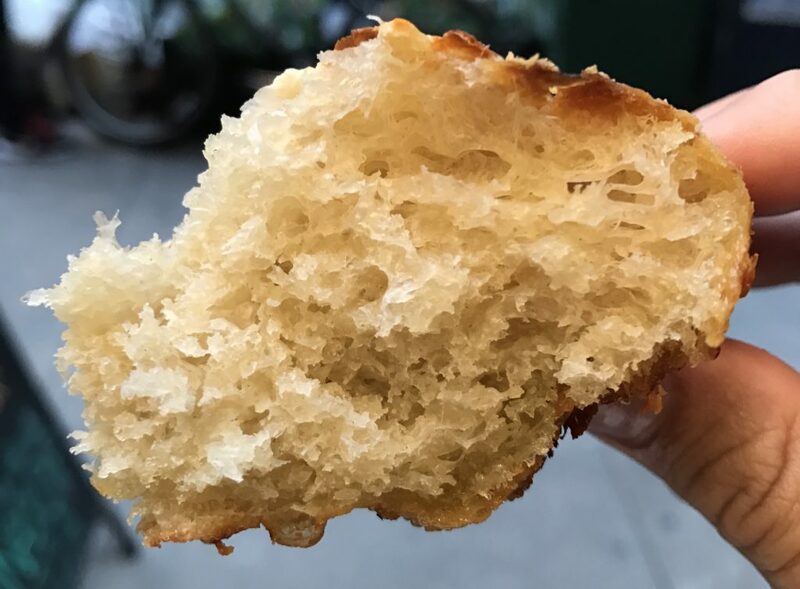 The dough is cold-fermented for three days and then it rises in an oil lined pan for 12 hours before being topped with ingredients and cooked for about 10 minutes. For this reason, trying the pizza involves securing one of a few coveted tickets released weekly on Eventbrite (Pro tip: follow the shop on Instagram — where they frequently announce when new batches of tickets are going on sale. That’s how I scored mine). Owner Tommy DeGrezia estimats that he’s served about 40 of these pies since debuting them last month (plus a few more to press). Tickets sell out within seconds since there are usually only 4-6 pies made each week. The reservation I snagged was at 7:15PM on a Tuesday evening. The shop itself is smaller than my 250 square foot apartment. My wife and I checked in at the counter and then were seated at two bar stools along the window that were cordoned off with “Reserved” signs. Tommy offered us soft drinks and then got to work on our pie. 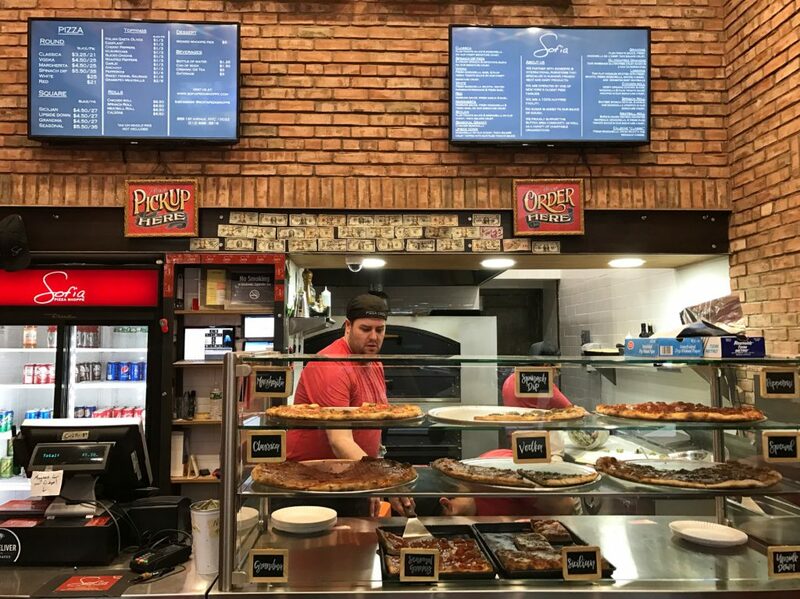 Ten minutes later we were presented with a rectangular slab of what I imagine a lovechild would look like between a Chicago deep dish pie, a Detroit style pie, and a Sicilian pie. Tommy let us snap some photos of it whole before slicing it into six pieces. “The corners are the best,” he told us. First and foremost, the ingredients were simple, yet top notch. Fresh mozzarella, aged parmesan, sweet tomato sauce, and some strips of basil — all topped with a generous touch of olive oil. When you’re charging $45 for a pizza, you expect ingredients of this quality. But what really made the pie stand was, of course, the crust. 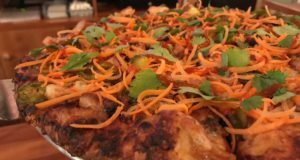 The edge was crispy, like you might expect from a Detroit Style pie. 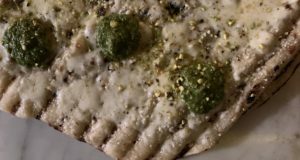 But the inside was doughy — some bites resembled a loaf of bread — like a Sicilian pie. And it was as filling as a Chicago deep dish pie. It’s the perfect size for two people. Imagine if Motorino only served four pizzas per week via Eventbrite. You better believe it would be one of New York’s most coveted food experiences. Scarcity sells. 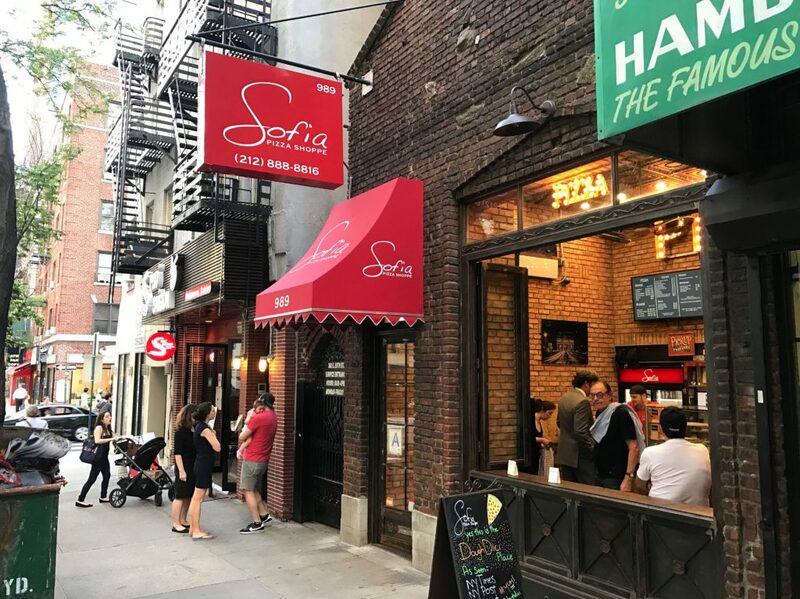 And as long as Sofia only makes a few of these pies available each week, there will be New Yorkers eager to try them. And rightfully so. This is one of the most unique pies I’ve had. And at $15/person — it’s a bargain if you ask me.